Business Basics for Private Practice is a step-by-step guide to developing a successful practice from initial conceptualization and business plan to future growth for the true entrepreneur. 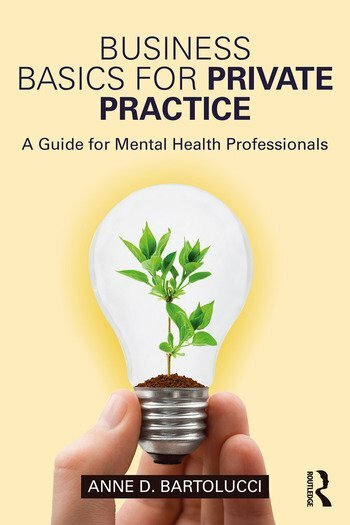 Dr. Bartolucci draws from interviews with fellow mental health practitioners and experts in business-related fields to make even the most intimidating parts of practice easy to understand. Business Basics is written to give the feel of mentorship, and the author talks about lessons learned the hard way. She’s also included checklists and worksheets to help you stay organized and ready to meet the challenges of opening a private practice. Anne D. Bartolucci, PhD, CBSM, started her private practice in 2008 and has since become Atlanta’s insomnia expert. She is also a sought-after speaker and business consultant.